Blends data from a variety of social networks to serve people ads they're actually interested in. What Publisher Ad Server solution do you use? Google Ad Manager is an integrated ad-technology platform that enables agencies and advertisers to more effectively create, manage and grow high-impact digital marketing campaigns. Google AdSense is a program run by Google that allows publishers in the Google Network of content sites to serve automatic text, image, video, or interactive media advertisements, that are targeted to site content and audience. Broadstreet is a ad management and revenue generation platform for local, digital news publishers. OpenX’s vision is to unleash the full economic potential of digital media companies through superior advertising technology. ONE by AOL: Publishers enables publishers to maximize their digital advertising revenue while providing the controls to minimize sales channel conflicts. It is built by industry veterans from Advertising.com and ONE by AOL: Ad Server, leveraging over 15 years of global experience in non-reserved, yield optimization and ad serving technology. BrightRoll is a simple and easy-to-use solution that offers the largest sources of video demand and supply in the ecosystem. Adzerk provides an ad serving platform for publishers and networks. Seller Cloud optimizes revenue for each of your ad impressions, safely. Integrated ad management platform: RTB, Video, Mobile. Media.net utilizes superior analysis and classification algorithms to dynamically identify and deliver the most relevant and engaging ads on a web page. * We monitor all Acuity Audience reviews to prevent fraudulent reviews and keep review quality high. We do not post reviews by company employees or direct competitors. Validated reviews require the user to submit a screenshot of the product containing their user ID, in order to verify a user is an actual user of the product. Hi there! 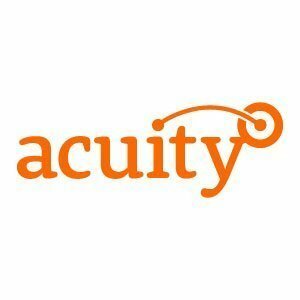 Are you looking to implement a solution like Acuity Audience?